There are many aquatic weed species that can cause problems for farm water supplies. One of the most serious is Blue-Green Algae. Blue-green algae in large numbers or 'blooms' can seriously reduce water quality by producing odours, thick scums and of particular concern are some species of blue-green algae that can produce toxins which are poisonous to humans and livestock. When algae decompose they may use up oxygen in water and cause fish to die. Not all blooms are toxic but they should be treated as toxic until the water has been tested. If you are concerned about algae or floating aquatic plants the following information is available to assist you to identify the plant or algae and determine actions to address the problem. 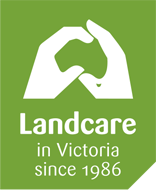 Mr Terry Mealor from Aquatic Technologies has provide the following information to assist Landcare members. In addition to these brochures Terry has offered to assist with aquatic plant identification. When taking a photo you need to make sure 1. there is something in the photo to give an idea of scale i.e. a photo next to a 20 cent coin or a ruler 2. A photo of the broader site so that coverage can be determined. Algal blooms are caused by a combination of factors including water temperature, water flow rate, light, and nutrients, although not all of these factors are easy for us to influence or change. So, the best opportunity for controlling the problem is to reduce the amount of nutrients available in water for algae to use.